Yo!! The 3rd CF meeting of the year is on!! And its games, make sure to bring extra T-Shirts for games! ( WE ARE GONNA GO WILD THIS WEEK) So, please do remember to invite your friends for CF, bless them with a wonderful time at CF this friday! Remember ya! Hey guys and girls our first week of CF went just great! Last Friday was our first CF of 2013 and for those of you who couldn't make it do try and join us this coming Friday. We had a good turn up of people. Our theme for this year is BOND. We even had a short sketch related to our theme.The sketch was a combination of the recent James Bond movie Skyfall and the story of David and Goliath from the Bible. In my opinion,they boy who acted as Bond in the sketch looked exceptionally handsome. It was a good sketch,special thanks Eng Yaw who wrote the script and of course our actors and actresses. That's about it and i'll say this again,do come and join us this Friday and you won't regret it. To end it all we've got some pictures from last Friday(thanks to our camera woman Jia Wern). A good story always comes with great pictures. And oh yeah if you're that person that always comes to school early and do not know what to do to kill time,we have prayer meetings every day at 7:00 in the morning in front of the school hall. As the year is coming to the end, n the form 5's are gonna leave soon. We, are organizing a farewell party, specially for them.FORM 5'S WHO ARE READING THIS POST PLEASE FEEL TOUCH.. Even if u r nt a form 5, still try to come n have fun. Every cf member is welcome. Dun worry, we will welcome u wit a open heart. We r gonna have some fun activities n games, n there may be water games as well, please remember to bring a set of spare shirt. We don't wan u to be sick :D Besides, it's potluck. If u r comin, please try bringing some food, any food will do. 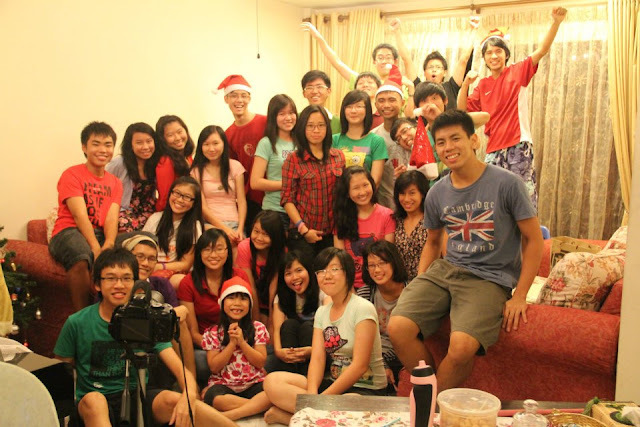 Spot some ex-form 5 in this picture? 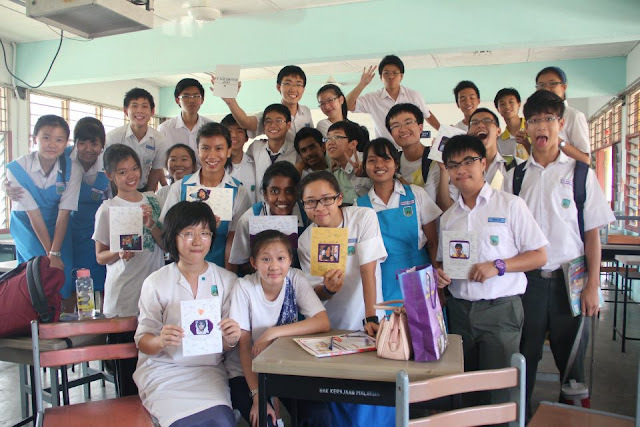 I bet when u r looking at tis picture, u r missing the ex- form 5 ryte, me either,. So, tis year form 5 batch they r gonna leave soon as well. We, shud not miss the last ever event wit tis year form 5 batch, So remember to come. And for the form 5, come n relak urself, N PARTY LIKE NOBODY BUSINESS yo. Cheers :D C u there. So, do come. same time.